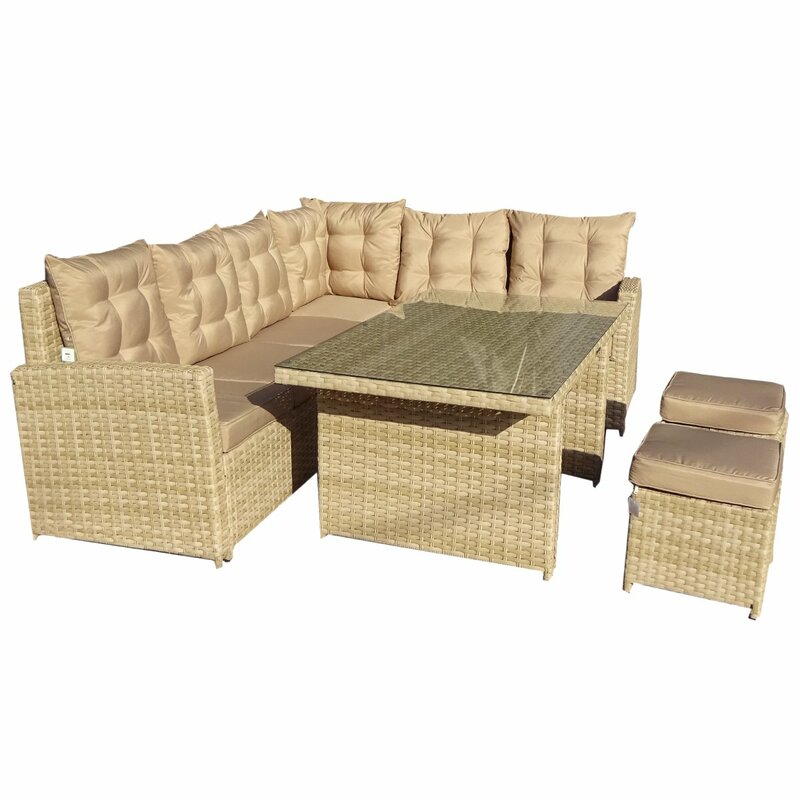 Perfect for entertaining guests outdoors on warm summer evenings, this deluxe multi-functional 6 seater rattan dining set will add a modern feel to any garden or patio. Comprising of an L-shaped sofa, table, footstools and both seat and back cushions, this versatile dining set can be quickly transformed from a dining set into a lounge set. Ideal for both indoor and outdoor use, this stylish dining set is constructed with a strong aluminium frame and is finished in an attractive flat weave, variegated rattan. Easy to maintain the set is weatherproof and can withstand the elements. Part of our Roma and Milano ranges which are inspired by Italian cities, this 6 seater rattan dining set comes in a choice of either a light grey or natural sand tone. Check that the furniture is completely clean and dry before storing indoors. Bring cushions inside when not in use. Wipe with warm, soapy water and dry thoroughly.